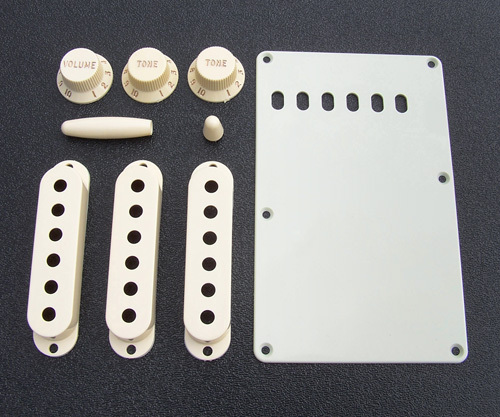 Genuine Fender® Stratocaster® Aged White Accessory Kit. 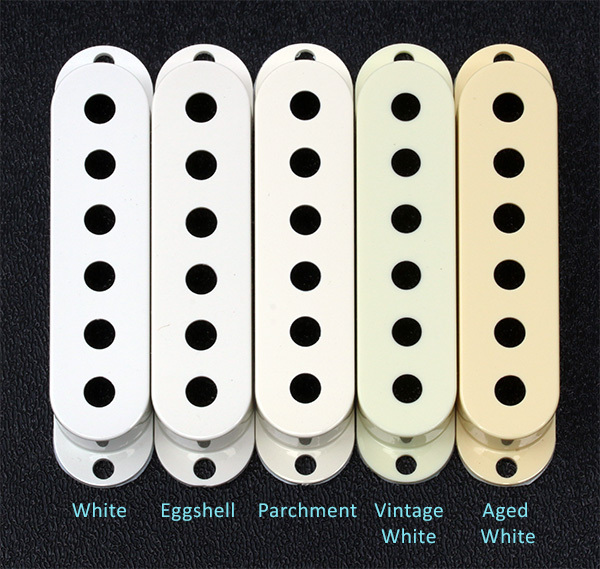 Includes mint green vintage style tremolo cover along with all other accessories in aged white; 3 pickup covers, volume knob, 2 tone knobs, tremolo arm tip and pickup selector switch tip. Pickup covers will not fit any of the noiseless pickups.